The Turtle Watch Camp has been transformed into Tengah Island Conservation in 2018 and is expanding the conservation efforts to include the preservation of our marine and terrestrial habitats and the education of local communities in addition to the turtle conservation work. Some of the projects include coral reef surveys where we record the coverage and health status of each reef; coral nursery monitoring and maintenance; fish species recording; and terrestrial mapping and biodiversity monitoring. Batu Batu was the first tourism company in Johor to invest in the conservation of the endangered Green Turtle (Chelonia Mydas) and the critically endangered Hawksbill Turtle (Eretmochelys imbricata) who struggle for survival in the face of exploitation and other anthropogenic threats. The programme now includes morning boat patrols of the neighbouring islands in order to try and encounter nests before they are either poached or predated. We also include several nightly patrols of the island to try and encounter and tag nesting females. We also aim to introduce temperature loggers into the nests in order to monitor the temperature profile over time and try to understand how temperature may influence the hatching success and gender ratio. We would also like to sample DNA of the hatchlings in order to study the population dynamics and parentage. As of November 2018, the sea turtle hatchery has released more than 14,000 endangered and critically endangered turtle hatchlings into the ocean. The project is also the first and only project in the area which collects detailed scientific data on sea turtles and this is shared with government departments and the scientific community. As part of a programme to reduce coastal and inland erosion, and to restore damaged areas of native forest, Pulau Tengah would benefit greatly from the construction of a small indigenous tree nursery. This would contain native plant species which are carefully selected and propagated based on the ecological benefits they would provide to the island, both in terms of biodiversity and soil stabilisation, as well as for the benefit inherent in promoting rare and native species in favour of exotics. Native trees and shrubs can be grown in potting bags, recycled containers or other eco-friendly alternatives. Initially the focus would be on propagating species currently found on Pulau Tengah from seeds, saplings and cuttings which can be very easily collected. This will continue as previously and be bolstered with our own in-house monitoring in order to study the coral and marine life in more detail over time. Rapid Ecological Assessment Methods (REA) are a comprehensive, small scale, site-specific surveys used to monitor temporal and spatial variations on marine habitats and populations. Reef fish and benthic invertebrate populations have been assessed over the years using an accurate and cost effective technique - the visual census. This non-invasive technique allows the collection of community level data by monitoring the abundance of coral reef organisms. Coral Reefs are one of the most diverse ecosystems on the Planet. 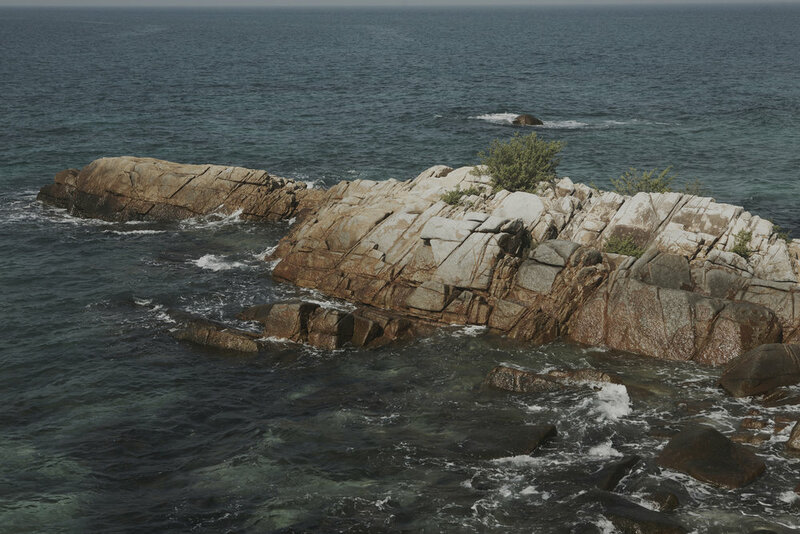 They are home to millions of species of plants and fish that people depend on for food, medicines and tourism; and they also serve as barriers in many areas to protect lives and properties from storms, waves, and the forces of erosion. Coral reef monitoring and assessment are important tools for effective management and can provide information to detect changes in conditions that will trigger an action from the conservation team. With this project we aim to evaluate the coverage and health of the coral reefs surrounding Pulau Tengah. Baited Remote Underwater Video Stations (BRUVS) are a non-invasive camera survey technique that is increasingly being used to assess marine and aquatic ecosystems throughout the world. They are mostly used to understand the abundance, biodiversity and behaviour of sharks and rays species in different habitats. In the long term, the BRUVS can provide a clear picture of the effectiveness of Marine Protected Areas on the local populations of Elasmobranchs (sharks and rays). Changes in the beach area caused by erosion or accretion patterns can be monitored by temporal measurements of beach profiles. Beach profile data can be used in numerous ways to guide decision making in coastal areas, such as monitoring beach nourishment and dune restoration projects. We are creating a photo I.D. catalogue of all species ofplant and animal found on and around the island. 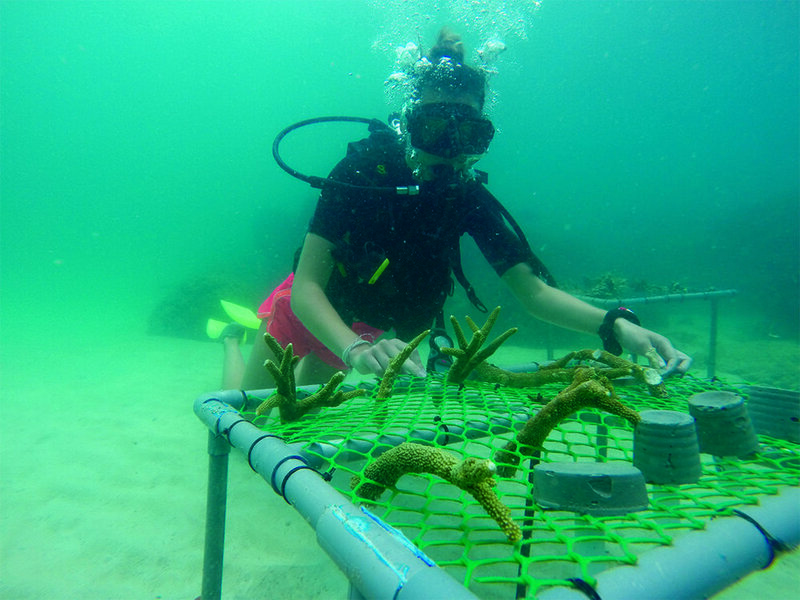 The Conservation Team has deployed several coral nurseries this year using the latest research to determine the most successful techniques for our region. So far, the nurseries have been highly successful with up to 5cm of growth per month. Habitat Mapping: Create a detailed vegetation map of the island. Invertebrate Study: Inventory of invertebrates (insects, spiders etc). Micro-mammals Study: Inventory of small mammals. Habitat Restoration: Conservation and restoration of the coastline and wetlands. Mammals Study: Inventory of carnivores.